Enterprises struggle to make the management of legacy applications conform to modern principles of IT automation, elasticity, and portability. Container-based deployment could be the only realistic path forward for some apps, succeeding where virtual machines have sometimes fallen short. 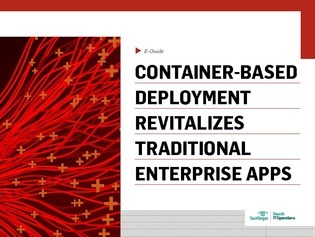 Read this e-guide to learn how your peers are using Docker to accelerate the containerization of many existing enterprise applications, and the benefits they are realizing.